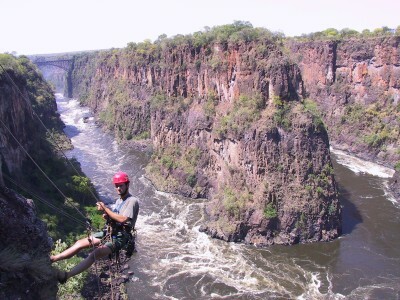 An unforgettable African family adventure through Vic Falls and the wildlife parks of Botswana. 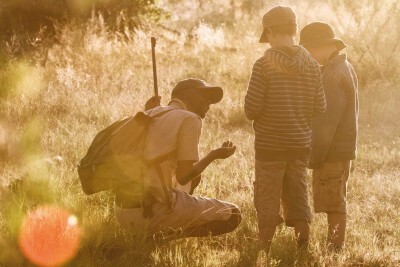 Sitting round the campfire in the middle of the Botswana bush, dancing in the spray of the mighty Victoria Falls, stalking lions by 4×4 and taking the kids to meet the elephants up close and personal, this 11 night family adventure takes in the many highlights of Victoria Falls and Botswana, a truly iconic African safari destination. Fly overnight from the UK to Livingstone (via Johannesburg). On arrival into Livingstone, the Zambian side of the mighty Victoria Falls, you will transfer to Chundukwa River Lodge to spend your first 3 nights in the Chundu Cottage. With a great location on the Upper Zambezi this rustic river retreat offers amazing value and Chundu Cottage is perfect for families with its own private plunge pool and private chef! Two full days to enjoy Vic Falls. We can arrange a variety of great activities such as elephant back safaris, walking with lions and helicopter flights plus your stay at Chundukwa includes a sunset cruise and a day trip to the falls. Ask us about the different things to do at Vic Falls – call 01273 932100. Crossing the border into Botswana you will transferred to the outskirts of Chobe National Park to start your safari with 2 nights in a family chalet at Chobe Bakwena Lodge, an owner run eco-luxury retreat on the banks of the Chobe River. 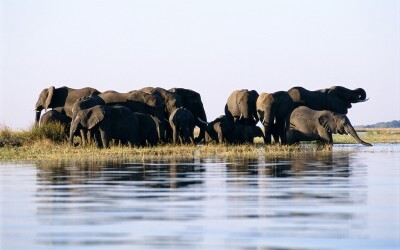 With excellent game viewing and one of the highest concentrations of Elephant on the planet, activities include ranger led game drives, boat cruises on the Chobe River, nature walks and birding safaris. Want to add another day here? 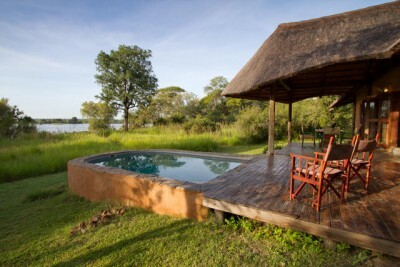 We design all our holidays from scratch so talk to us on 01273 923100 to start designing your Botswana family holiday. Following a morning game activity and breakfast you will be transferred to Kasane Airport for your light aircraft flight into the Khwai Concession, a beautiful game rich area bordering the Moremi Game Reserve. You will spend 2 nights in the Family cottage at Khwai Tented Camp, a traditional bushcamp set up with only 6 tents and an authentic safari feel but with an added bonus of a family cottage. Game viewing through the mopane woodland and floodplains of the Khwai Concession, the activities are land based focused with game drives, night drives and walking safaris on offer. Following a morning game drive you will fly by light aircraft into the mighty Okavango Delta to end your safari with 2 nights in the family tent at Moremi Crossing, a great value tented lodge overlooking Chiefs Island and an excellent option for experiencing the delta on foot and by water. Having enjoyed game drives in both Chobe and Khwai it’s now a chance to experience the Okavango Delta on expertly guided walking safaris, boat safaris and mokoro safaris (traditional dugout canoes). Rounding off your Botswana safari with a final Okavango Delta activity and breakfast you will fly by light aircraft to Maun and connect with your International fight back to the UK (via Johannesburg). This Botswana Highlights holiday idea costs from £14,892 per family (based a family of 4 with children aged 7 -11 years) and includes international flights (price based on London), all internal flights, all accommodation on a sharing basis (as outlined above), 3 nights full-board, house drinks & lodge activities in Vic Falls, 6 nights all-inclusive safari, Botswana park fees and all transfers. It does not include additional meals, taxes or tips. Want to slow the pace a little? Want to spend more time on each safari? Want to get some other family-friendly hotel options? Let us do the work. Call 01273 923100 now or complete an enquiry form. Your agents in Botswana were outstanding. The elephants at Chobe were a particular favourite – could have watched them for hours. This trip was everything we expected – and much more! The experience was fantastic. The African culture, the wildlife and all the personal touches from the lodge hosts. A measure of a good holiday is one you want to repeat; we would both do this trip again tomorrow – brilliant. We loved every minute of our safari – each place and lodge visited was very different, with its own unique experiences. All in all it was a wonderful adventure with the most beautiful of scenery and people. Our driver was very informative and determined to find us every wild animal under the sun! No rhino but we did see a spitting cobra and a massive python! Memorable trip to fantastic locations. Don’t think I have ever seen sunsets as spectacular as the ones in Botswana. Thanks for your advice and recommendations which were really tailored to what we wanted. It was an amazing 3 weeks – gutted to be home. By the way, we saw wild dogs at Kwara! We loved the safari in Botswana. The lodges and the quality of guides was truly outstanding. It was a phenomenal experience that give us memories to last a lifetime. The honeymoon of a lifetime! Great service from James. 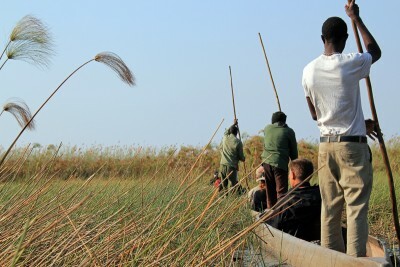 We loved the safari in the Okavango Delta – great guides/trackers, good service and saw some great animals. A fabulous location.